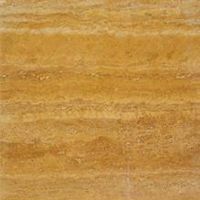 Indoor or outdoor, travertine tile is worth looking into. Stone is a great choice of material for your building projects, as long as you pick the right stone for the area you are remodeling. While granite and marble immediately come to mind, for many home and business remodels travertine tile is the best choice. Much of the ancient Roman Empire was built with ivory travertine limestone tile. The most famous building made entirely out of it is the Coliseum. It stands as a testament to the durability of this stone. The only drawback the Romans met has been fixed by modern techniques. Due to the Roman’s heavy grinding, unseen pockets of air inside the stone could be exposed. Today, we think of it as its signature aged look. If the Romans had our technology the Coliseum would still look smooth. Any space that these Roman Empire favorites grace is instantly more luxurious. The versatility of travertine tile allows it to reflect the cultured style of Italian spas in bathrooms and around outdoor pool areas. 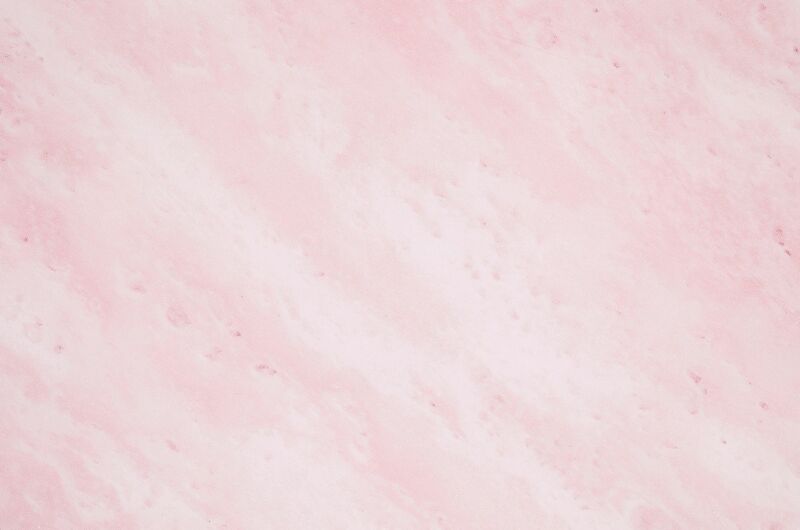 Used in large tiles, on walls and floors at the same time, in the same color, gives a clean modern appeal. Warmer colors on smaller tiles, put in patterns, make great backsplashes to bring warmth to a kitchen. Both travertine and marble tile make excellent upgrades to a home or business remodel. The main considerations should be look and budget, of course! Marble is solid stone and does not have the naturally occurring "holes" (more like large pores and pocks) that travertine has. This is because it is a metamorphic rock. Metamorphic rock undergoes huge pressure that pushes all the holes out. Marble also comes in a wider variety of colors, many of them very vivid. Marble is a lot harder than travertine, too. 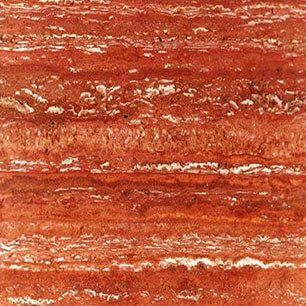 Travertine is a sedimentary rock, created by layers being pushed down on top of one another but not at the pressure that metamorphic rock goes through. This means you will have small holes and the texture in general is not as hard or smooth. In general travertine has a warmer look. 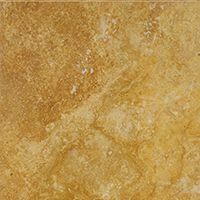 While ivory travertine tile is the most common, it comes in a full rage of rustic colors such as brown, yellow, red, gold and green. Some kinds of travertine tile are cheaper, some actually cost more than certain types of marble. Color is one of the considerations, also the grade. By "grade", for travertine, we mean the number of holes. Whether the travertine stone is honed and the pores filled affects the price, too. Honed means to be ground smooth. Some people will actually get their stone tumbled to have a really rough look! This is excellent for a dramatic wall. 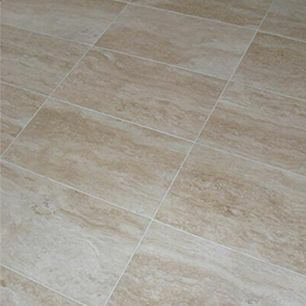 Honed travertine tile can be applied in many different indoor and outdoor uses. Envision them in your foyer, hallway, dining room, or living room. Patios and outdoor countertops are perfect for sealed travertine. It stays cool underfoot and is very durable. Filled Travertine tiles are waterproof. This makes them safe to use anywhere in your kitchen, bathroom, or garden. Use them on walls, countertops, backsplashes, floors, and ceilings. They have more grip than many other stone surfaces making them a go to choice for many designers. 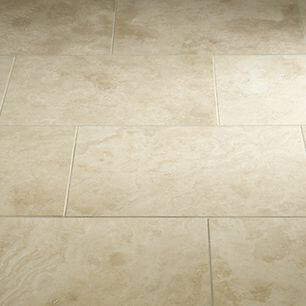 If you have children that will be running on it, travertine is perfect. Travertine pavers aren't slippery. This makes them much more ideal for outdoor purposes and for bathrooms in remodels for the elderly. 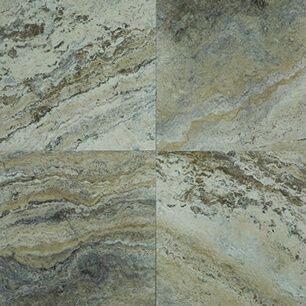 After you decide to use natural stone, you'll need to pick whether to use Vein Cut or Cross Cut. Vein cut looks like it has lines going across it, or layers showing. 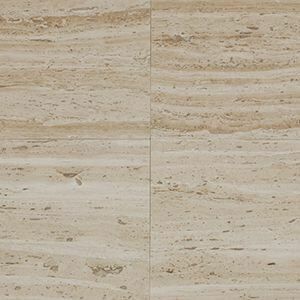 Travertine was created by layer of layer being added and compressed on top of each other. Vein cut lets you see these layers. Cross cut is on top of the layers. Next, you need to decide if you will make a pattern with your stone tiles or line them up to flow. Just remember that every stone is different. No matter what some will be darker, some will have more of a pattern. It is the uniqueness of each that makes using it so much fun. The travertine tile that is honed and filled, then sealed is extremely easy to care for on a daily basis. Sweeping and mopping is a snap. Because the stone is sealed, it will not stain like unsealed stone. Every two years these honed filled travertine tiles should be sealed to protect the surface of the tile and insure each tile’s unique beauty is preserved. If properly cared for, the beautiful natural look of this stone is going to retain the exact mood you envision for generations.